Silly Bee's Chickadees: Silly Bee's Beauty- The Butcher, The Baker, The Lipstick Maker! Silly Bee's Beauty- The Butcher, The Baker, The Lipstick Maker! This little kit is so much fun! I bought my mom, sister and I each a set for Christmas, and we shared and mixed and melted and poured our little hearts out! It's really easy to use, but it can be messy, so I thought I'd share a few tips that I discovered along the way to get the most out of your lipsticks. The Sephora refillable lipstick palette is the perfect solution for broken lipsticks, for used-up lipsticks and for consolidating lipsticks so you don't have to haul a bunch of tubes around. It's also great for mixing lipsticks and glosses to make your own original shades! Plus, it will save you money! Did you know there is almost as much lipstick left in the bottom of the tube as on top? Lipsticks can be expensive, don't throw half of them away! Back to the kit-- this is what you get: a little silicone bowl, a tiny spoon, a palette and a mini lip brush. Cute, right? 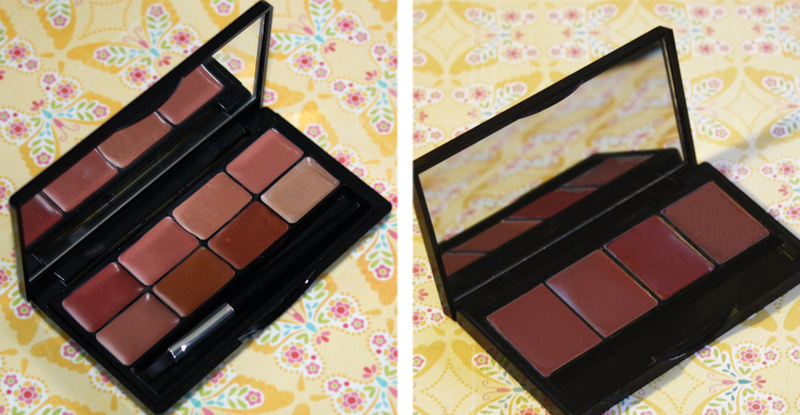 The palette has 8 pans and it's really streamlined so it's perfect to slip into even the smallest clutch. To make your project easier, grab some hand sanitizer, a bunch of cotton balls and cotton swabs, a few wooden skewers or orange sticks for scooping and mixing, a paper plate to put all your gooey utensils on and paper towels. If you have any little empty containers like makeup samples, pimiento jars or pill boxes, grab those too, they're great for storing leftover lipstick. Now, gather all your lipsticks, lip balms and glosses. Lip balms are perfect for making sheer lipsticks, so search your purses for stray Burts Bee's and Chapstick tubes. Don't forget those little tin tubs of balm that you hardly ever use because you don't like to stick your fingers in them. Before you begin, disinfect your bowl, tools, palette and hands with antibacterial hand sanitizer. 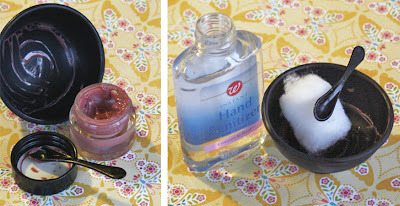 I used cotton balls to sanitize the tools and bowl and cotton swabs for the palette. Now you're ready to play! 1) Now, this is going to sound weird, but go with me. First, flip your little silicone bowl inside out-- don't worry, it won't hurt it. Then, place your lipstick bits in the very middle of the bowl which is now popped up on top. If you don't flip it, most of the stuff ends up on the sides of the bowl and it won't melt down. So, flip it out so you can get the lipstuff in the very center. Here's where you can add different colors, balms and glittery glosses if you like. 2) Gently flip the bowl right-side in. Make sure all your lipstick is in the very bottom. Now when it melts it will make a neat little pool and you won't have a mess on the sides. 4) Next, gently pour the liquid into one of the pans. The bowl will be hot, so grab it by the rim carefully. If the lipstick isn't hot enough, it will coat the inside of the bowl. It might even form a little icycle as you pour it. If that happens, let the lipstick cool, scrape down the sides with your itty bitty spoon and start over. (Don't forget to flip the bowl!) 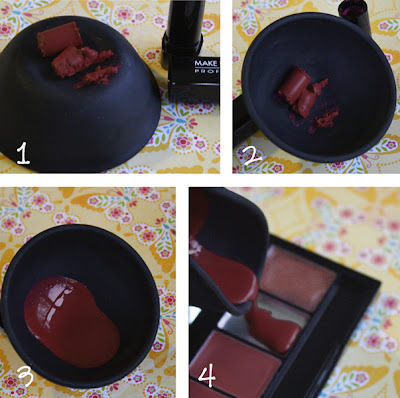 You might even want to scoop out the little mound of lipstick that ended up in your pan. Chances are it didn't melt down and level off like you want it to. If you have leftover lipstick in your bowl, scoop it out and put it in your empty containers. I had two little tubs that had sickly perfumey lotion samples in them that I knew I would never use. So I cleaned them out, put them in the dish washer and voila: free lipstick containers. Keep these containers with your little bowl and spoon so you can find them next time you're ready to refill your palette. Make sure you clean your utensils and bowl with hand sanitizer between each lipstick melt as well as when you're done meltin' and fillin'. Hand sanitizer is best, but rubbing alcohol will work fine, too. Check out my beautimous palettes! The palette on the left is the one from the Sephora kit. The one on the right is an old Bobbi Brown (BB) palette that I filled with mixed up leftover bits. I had already used up the lippies in the palette that I liked, so I just scooped out the weird ones, disinfected the palette and filled it up! 4. Melissa's Mix Lip Gloss- I made it with clear lip balm from one of those little tin containers and the extra bits of my lipsticks. 8. Clinique Chubby Stick in Whole Lotta Honey- It had gotten too short to put the cap back on, so I just scooped it out with a skewer. *Quick Tip--To keep track of your faves, you may want to write the lipstick names on little labels and adhere them to the bottom of the palette, or you can peel off the little sticker on the end of the lipstick tube and use those. Now, you can certainly smash your lipsticks into your own palettes, but I like melting them because you have more even application with your lip brush. You can find tutorials on youtube that use the day-of-the-week pill boxes, but those don't have a spot for your applicator, so that's not very convenient. I've also seen empty palettes that have flimsy plastic liners, don't have spots for a brush or are just too darn huge to carry around. This kit is the perfect size and high quality. So, there you go! If you make a palette of your own, I'd love to see a picture. 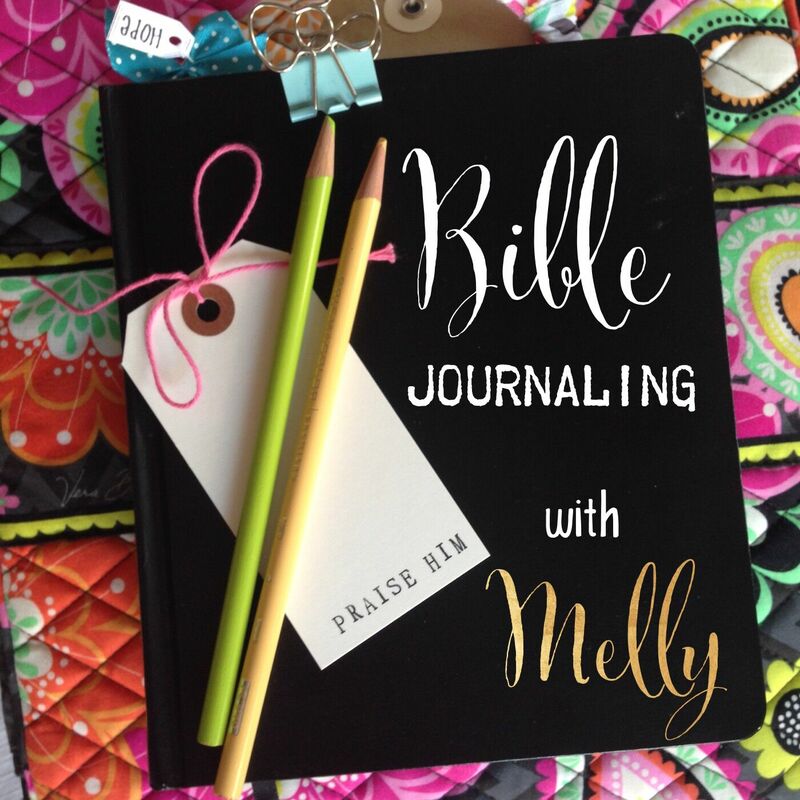 Get to meltin' and have fun! 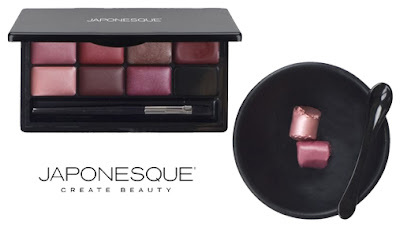 If you can't find it at Sephora, hop on over to beauty.com ($20) or amazon.com ($18) to purchase the EXACT same kit by Japonesque. Thanks for sharing. I always wondered how to melt the lipstick. Btw the Japonesque ones are the original ones. Makeup artist Lisa Eldridge has been using these for over 2 decades. 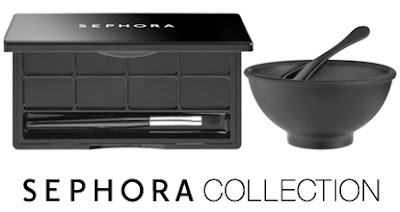 What a shame that Sephora had to completely rip off their design.